Wir waren 3 Nächte, ein super schönes Haus, sehr saubere Zimmer, hervorragendes Frühstück best pancakes ever!, günstige Lage für Ausflüge nach Dingle-Halbinsel und Killarney. Thank you, Eileen, for your hospitality!!! A beautiful, clean, well attended property with good facilities. Breakfast was fine, just lacked the choice and quantity of others on our journey. what a lovely experience hospitality at its highest , a credit to their industry , I cant speak highly enough about this B/B . Could not do enough for us , Thank you Eileen and Brid. We only stayed 1 night in the Glenbrook House as it was a good location for us for getting a car at Kerry Airport. It's a 10 minutes drive from there and Eileen was so kind to get us from the train station and also brought us to the airport in the morning, She and her daughter were both very friendly and welcoming, offered us tea and cookies and provided all the information we needed. The bedroom was very spacious, comfortable and clean : Her breakfast was one of the best we had so far, there are options to choose from and her house is just beautiful! Very pleasant and communicative host. Excellent breakfast. Really recommended! We had a wonderful stay at the Glenbrook House.Eileen was a wonderful host.And she made the best pancakes.I would stay here again. Excellent stay. Would recommend to friends and family. Friendly, welcoming host. Very good breakfast. The room was ok for one night, but too small for a longer stay. Very convenient for early flights from or late arrivals at Kerry airport. Glenbrook House is a beautiful place, where you get a affectionate reception. The Service is perfect , the breakfast is rich, you can have so many different homemade breakfasts, even if I always prefer the irish breakfast. The rooms are well appointed, just to feel fine. un bon bb avec des pancakes faits main. My stay was very short as I arrived late and left very early the next morning. I found Eileen to be very pleasant and welcoming, the accommodation was very clean and comfortable. 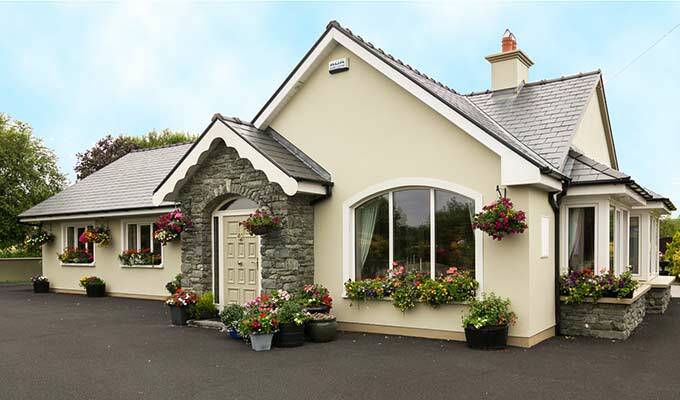 Ideal location if flying from Kerry Airport as it is only about a 3 minute drive. I would highly recommend. Ideal for travelling from Kerry airport: The owner arranged a transfer to the airport for me, but I thought the price was too high for such a short distance: He charged 10 Euros. There is nothing whatsoever to do in the area, and the road is too busy with traffic to risk going for a walk. I got a good nights rest.